If you need a truck this big, the Ford F-250 fits the bill. The F-250 is part of the Heavy Duty lineup, one step above the F-150 and a part of a line that goes up to the F-450. Heavy duty trucks are an increasingly popular option that can haul and tow more than the Ford F-150 while not looking or feeling like a commercial vehicle that would look out of place in your driveway. In fact, the F-250 has a certain rugged charm--big, bold, and brash. Whether you buy it for its looks or its barely-contained power, there's a lot to like here for any truck enthusiast. The next model year rolls out a new Lariat Sport package. It answers the question, ‘Does it come in black?' with a resounding yes. The Lariat Sport package turns your truck into a dark, brooding silhouette. The package includes 6" ebony black running boards, 20" ebony black wheels, painted aluminum ebony black painted front grille bars, ebony black painted mirror caps, black out surrounds halogen-only headlamps, and tough bed spray-in bedliner rear wheel well liners. With the headlights off, you might not even see it at night. Ford has swapped out the premium Sony stereo for the more popular B&O Play stereo. Bang & Olufsen is finding its way into almost the entire Ford lineup these days, and the new heavy duty trucks prove to be no exception. By all accounts, this is a good sound system, so we're pleased with the change. How Much Does the 2019 F-250 Cost? Short answer: As much as you're willing to spend. You might also ask how much truck you need. The Ford F-250 starts at just $33,000, which might sound like a lot but is quite reasonable for this much truck. But stepping through several trims to the very tippity-top F-250 Limited level reveals an $80,000 price tag. With all the different variations of cab size, bed length, and six trim levels, there's almost certainly a truck that'll meet your needs. You can customize it almost to your heart's content. For most drivers, we recommend the XLT or Lariat trims. 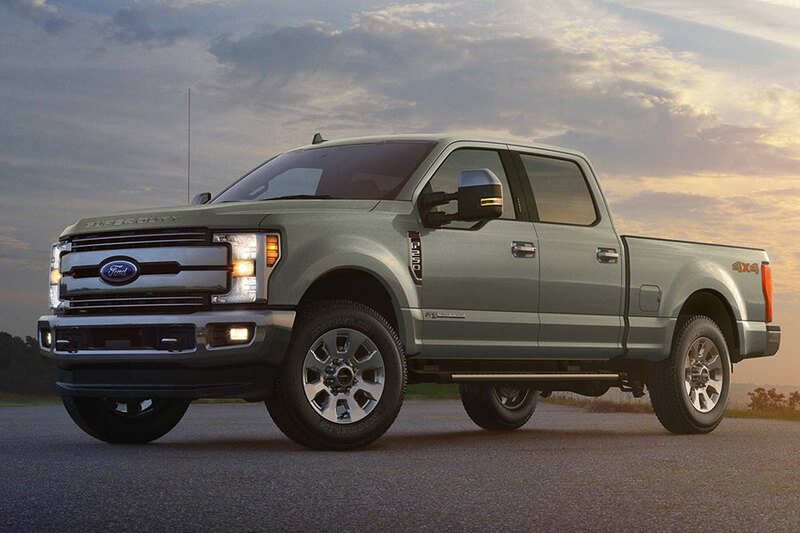 The XLT starts at $37,365 and comes with a diesel or gas engine, 6-speed automatic or manual transmission, remote entry, USB port, voice-activated SYNC infotainment, smartphone connectivity, power windows, air conditioning, and tilting and telescoping steering wheel. The Lariat trim starts at $46,140 and adds keypad locking, dual-zone AC, another USB port, power outlets, remote engine start, 10 premium speakers, WiFi hotspot, and more. The F-250 may not accelerate like a hotrod or stop on a dime, because this truck was made for hauling and towing and that's just what it'll do. The F-250's towing capacity is over 13,000 pounds, when properly configured and the payload is over 4,000 pounds. The 385-horsepower, 6.2-liter V-8 gas engine generates 430 pounds per foot of torque. But the F-250 is just getting started because the optional diesel engine can put out 450 horsepower and 935 pounds per foot of torque. Clearly, this beast is specialized and does it very, very well. The Ford F-250 is largely unchanged this year (unless you love the color black), but remains a fine truck. 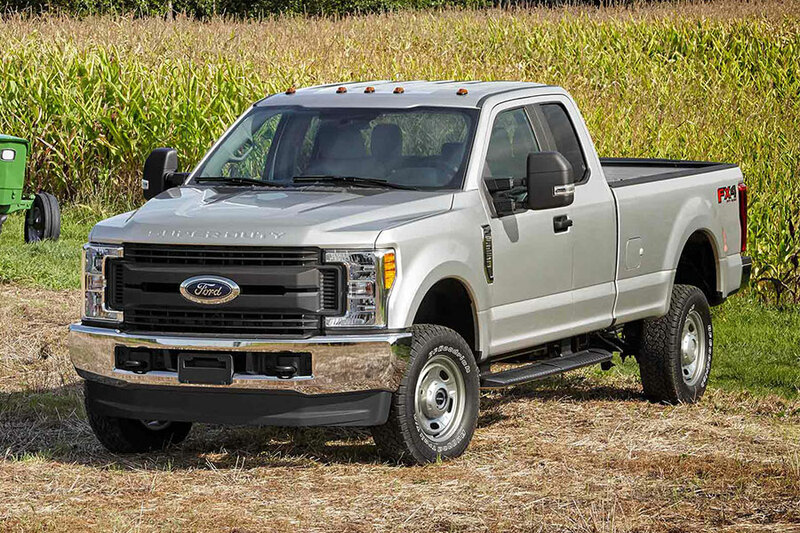 If you have a big job that needs doing or just love that big truck in your driveway, the 2019 Ford F-250 is made for you.